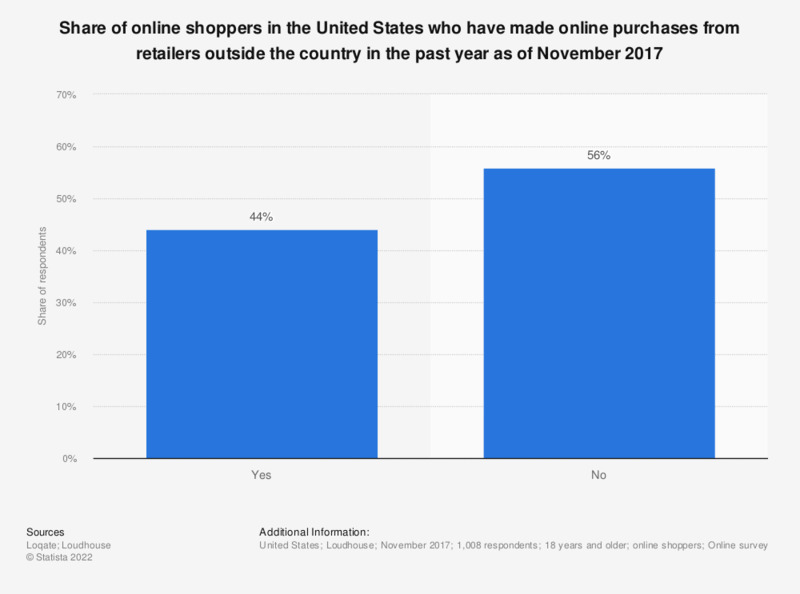 This statistic presents the share of online shoppers in the United States who have made online purchases from retailers outside the country in the past year as of November 2017. According to Loqate, a GBG solution, 44 percent of survey respondents had made a cross-border online purchase in the past year. Question: In the past year, have you made online purchases from retailers outside of your country?